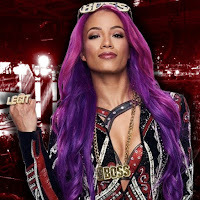 Sasha Banks reportedly tried to quit WWE over WrestleMania 35 Weekend, according to one higher-up source and the Wrestling Observer Newsletter. It was noted that Banks felt blindsided when she found out at the last minute that she and Bayley were dropping the WWE Women's Tag Team Titles at WrestleMania 35. That Fatal 4 Way saw The IIconics capture the titles by defeating Banks and Bayley, Nia Jax and Tamina Snuka, and Natalya and WWE Hall of Famer Beth Phoenix. Regarding her WWE status, Banks has been given a few weeks to think things over before making a decision on a choice that WWE officials believe may have been made as a rash decision. Another source noted to The Observer that Banks has been given time to figure out if she wants to leave the company or stay, but that source couldn't confirm the reason why, and said Banks probably would not have known about the WrestleMania 35 finish until late, and did believe that Banks and Bayley were going to be given a chance to make the titles mean something. It was also noted that it was logical for Banks and Bayley to assume they would have a run of defending the titles on WWE NXT, RAW and SmackDown, just because that storyline was started in the first place. Another source just said Banks was clearly unhappy, which has been speculated on at various points over the past few years of Banks' WWE career.